georgejulian.co.uk - When is a world first not a world first? When is a world first not a world first? When its Tory propaganda of course. On Tuesday I was watching Parliament health and social care questions and was interested to see my local MP, Kevin Foster, ask some fairly anodyne question about social media and children’s mental health. I didn’t really think much of it, other than I was pleased to see he was in the chamber. I’d been informed that an Urgent Question had been granted to Barbara Keeley to ask about the LEDER report. For anyone not in the know the LEDER report, looking at the deaths of learning disabled people, was snuck out by NHS England at 8am on the Friday before the Bank Holiday, with no embargoed press copies, no press statements, no interviews and with errors, so it had to be edited and updated and moved to a new web page. This report written by the LEDER team at Bristol University was dated December 2017, yet was published (by NHS England) in the most low key way imaginable, on results day of the local elections. Sara appeared on BBC Breakfast to reflect on the report, that she’d not yet had a chance to read. She summed up the horrific findings within it, put simply if you have a learning disability, in the UK, you are now living with a life limiting illness. 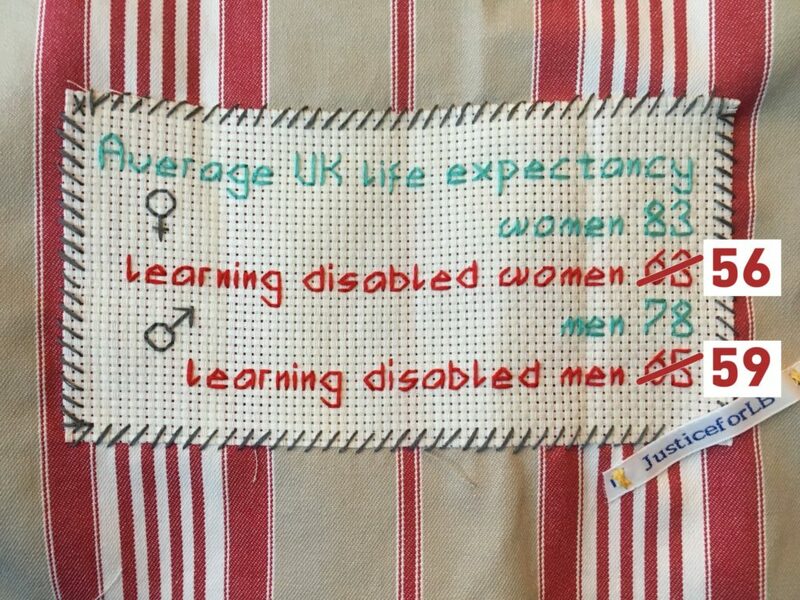 People with learning disabilities die on average more than 25 years younger than the rest of the population. The headline figures from the LEDER report are utterly horrific. They show that learning disabled people are now dying more prematurely than the most recent figures (from CIPOLD in 2013) led us to believe. 1 in 3 learning disabled people will die before they’re 50. They are not ill or sick. This is because society does not value learning disabled people, it does not provide accessible healthcare (see what happened to Richard Handley), it does not provide safe healthcare (see what happened to Connor Sparrowhawk), it does not provide good quality care, even when provided by the self-proclaimed ‘leading voice of learning disability’ Mencap (see what happened to Danny Tozer). Whether you read the blog posts or the tweets they all pretty much say the same thing. We know this. We have been hearing the same recommendations now for over a decade. In June 2004, when Mencap were still doing powerful campaigning work, they published Treat me right! about the challenges of accessing healthcare if you had a learning disability. This was followed in 2007 by their publication Death By Indifference. In Summer 2008 Sir Jonathan Michael’s report Report Healthcare for All was published, which was followed the following year by the LGO/PHSO Six Lives report. One of the recommendations of the Michael Report was a Confidential Inquiry into the Premature Deaths of People with Learning Disabilities, CIPOLD, this was published in 2013. Jumping back to the Urgent Question in Parliament on Tuesday, the first time MPs had sat since the report was snuck out. 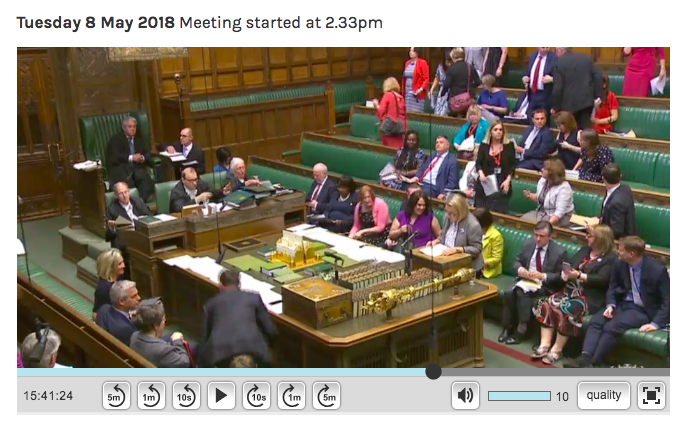 I’m not going to say anything about the utter contempt Jeremy Hunt showed the nation as he snuck out of the chamber after the question had been addressed to him. Wow. Let’s look closely at this contribution. In what ways aren’t they difficult? Honestly, find me one? We’re pretty much allowing a certain section of society to die prematurely because we don’t care enough. Nah, it’s not. There’s nothing first about this at all. We’ve know about the premature mortality of learning disabled people for years – so that’s not new. The CIPOLD review looked at the deaths of 247 learning disabled people, this report focused on just 103 completed review, of the 1,311 deaths notified to LEDER. That’s right, the world first had a 10% success rate in terms of deaths reviewed. So the scale of reviewing isn’t new, or even that impressive. There have been mortality review boards looking at the deaths of learning disabled people in parts of the US for some time, Irene reference’s them in her blog post. So that’s not new. If there is any world first in this, it’s how badly the Tories have funded the LEDER programme and how badly they have managed its dissemination. There was a correction to Hansard and a point of order the following day to point out Caroline Dinenage had lied to Parliament about the publication of the report, turns out her department did know about the publication date after all. So back to Mr Foster. Honestly? Why do MPs need another report to enable them to have a discussion? I have today asked the LeDeR programme to provide annual reports to the Department of Health on its findings and how best to take forward the learnings across the NHS. It seems utterly inconceivable that an annual report that he requested LEDER to provide to the DH, that was dated December 2017 could have been published 5 months later without making its way to his department. Utterly inconceivable. It also seems a very weak claim that the LEDER report was required to ‘give MPs a chance to have a discussion’, they could of course have a discussion at any stage. Indeed Mr Foster may wish to get behind the premature mortality of learning disabled citizens and make sure that no more reports are required for MPs to act. He’s never heard from me, one of his constituents before, so how does he respond, by telling me off with a tweet that actually makes little sense. He seems a little focused on points, his overall points, the difficult points and the point scoring game. Why did you need to make any point about it being a world first? Why or how is that relevant? People are dying 30 years prematurely, the SOS for Health ran out the chamber, the contempt is palpable. Except I didn’t mention points at all. I commented on the ‘political scoring game’ because my hunch was that is why it was asked, to seek glory to be lauded on the tories for commissioning a world first (which they then fail to resource, actually isn’t a world first and has only reviewed 1 in 10 deaths). Mr Foster replied to let me know that Jeremy Hunt leaving was ok because the Shadow SOS left too. Except of course he wasn’t the one being asked the Urgent Question, nor is he the one he prides himself on his commitment to Patient Safety (clearly only for some people, not learning disabled ones). Then someone messaged me to draw my attention to my MP’s most recent tweet, which I’d not seen at the time as I was engaged in other discussions about the debate. So this is my MP tweeting about my reaction, to his question. To be fair to Kevin, he did say he’d be happy to meet for a discussion. I guess we need to talk about the fact that one in three of his learning disabled constituents will be lucky to make it to 50. I’ll email him a link to this post and ask for a time to meet. Maybe then he’ll be less sad at my reaction, and more prepared to be as enraged as the thousands of citizens sat watching that debate.